AMHERST, N.Y. – Dr. Mimi Harris Steadman, associate vice president for institutional effectiveness at Daemen College, has been selected by Buffalo Business First as one of this year’s Women of Influence award winners for her exemplary contributions to the community and the college. Honorees will be recognized at an awards presentation scheduled for Sept. 17 at Grapevine Banquets. Steadman will be honored in the behind the scenes category, which recognizes women who, though they may not have the big title or corner office, are a driving force behind the success of their employer. 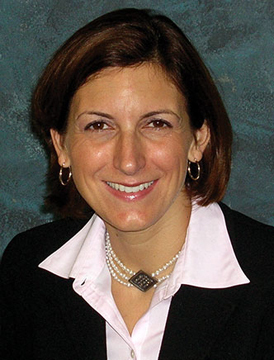 Joining Daemen in 2006, Steadman was appointed last year to her current associate vice president role, having previously served as executive director of the Center for Excellence in Teaching and Learning and Title III project director. She was honored by Daemen with the 2015 Outstanding Administrator Award. Steadman earned a doctoral degree in education from the University of California, Berkeley, a master’s degree from the University of Rhode Island, and a bachelor’s degree from Cornell University. She is a Williamsville resident.